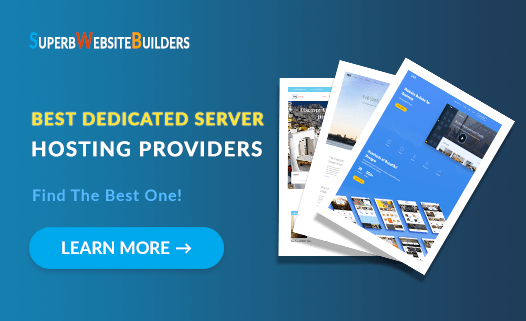 The Best Dedicated Server Hosting! The term “dedicated server” speaks for itself. It means that you have a server of your own to host a website despite the complexity or traffic. It is totally different from what we are used to in terms of VPS or shared hosting solutions. A dedicated server does not feature bandwidth, CPU time sharing, RAM or any other typical factors. It comes as a flexible solution that is easy to manage and optimize in accordance with the website requirements while remaining responsive at any time. The main dedicated hosting benefit is that it delivers far more managing tools and control over the settings. Users are free to implement configurations needed. Additional advantages include extended support and maintenance at every step. digital security, etc. BlueHost is the ultimate solution for those who look for the best value for money. The platform delivers a custom server solution to meet all requirements when it comes to speed, security, performance, and server management. For more than affordable price, you get all the necessary tools in the pack to ensure smooth website running. SiteGround is an advanced dedicated server solution for medium and huge enterprises craving for maximum speed and digital protection. The system boasts probably the most powerful resources available on the market in addition to VIP support within each plan. 1&1 IONOS Ionos is a German-based dedicated server provider famous for its cost-effective and budget solutions. Customers will benefit from affordable prices with a set of baseline features in addition to advanced technologies in the face of the mobile app to access the control panel remotely. The solution is more expensive if compared with other hosting capabilities. You should be ready to pay from $50 to $150 per month for an entry plan. Simple Management and Control – A dedicated server is a perfect choice for businesses craving for greater control over their hosting and server facilities. Users are the only ones in charge of the situation. They are free to configure settings and manage baseline elements in accordance with their needs in references to the disc space, RAM, the amount of CPUs, etc. Administrator Access – Imagine that you have opted for shared hosting. You will not be able to administrate it with the exception of some baseline management opportunities. As for the dedicated server, users get full root access and capabilities to remove or change software, install or delete programs, implement custom settings, etc. The unique IP address – This fact minimizes the risk of someone else blacklisting your IP address. Scalability, enhanced digital security, fast speed, and great performance – those are the crucial factors that make a dedicated server really worth spending that money. Now, let’s have a closer look at some best offers on the market. Maximum Speed – The platform uses open-source technologies such as OpenStack. This fact ensures enhanced flexibility and fast website operation. 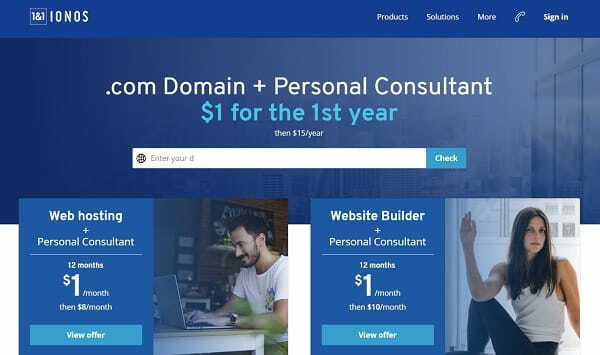 Improved cPanel – Bluehost cPanel is an ultimate instrument that provides roots access for advanced users craving for total control over the server. Users can use the panel to add hosting storage on the fly in case of necessity. RAID Level 1 Storage Support – Bluehost uses only RAID storage on its dedicated servers. It results in 100% data protection thanks to mirrored drivers. This is an exclusive feature that you will hardly find at other hosting providers. Manage Your Database – Database management capabilities let users make all necessary corrections and changes directly on the server. Additional features include multi-server management and some of the essential protection tools such as domain privacy, spam protection, SiteLock feature to protect your website from hacker attack and digital threads. Bluehost dedicated server cost: The platform offers three different plans that all come with round-the-clock support, free domain and SSL, 30-day money back guarantee. The Standard Plan is the entry package costing $79.99 per month featuring 2.3GHz speed, 500GB mirrored storage, 5GB of RAM and up to 3 IP addresses. Enhanced and premium plans cost $99.99 and $119.99 respectively. They come with more mirrored storage and bandwidths as well as IP addresses. Users also will benefit from higher speed making Bluehost plans a good value for money. Selected High-Class Hardware – Siteground experts have designed stable dedicated machines that boast flawless performance at higher speed. The system uses some of its best data center facilities for the ultimate server location. Total Control and Scalability – The platform comes with fully-managed server solutions. Users can track their operation round the clock, which results in almost instant decision making and malfunction elimination. 24/7 VIP Customer Care – Users can always count on professional assistance via live chat, phone or ticketing system. The support team is always there to help whenever you need a system reboot or malware diagnosis. Siteground dedicated server cost: Three major Siteground plans are available for its customers. The Entry plan starts from $219 per month up to 480GB of storage, 10TB bandwidth, Intel Xeon E3-1230 SSD running at 3.20GHX speed and other great perks. The Power Server plan costs $299 per month and offers a bit higher speed at the same operating system with 4 CPU cores 960GB SSD. If it sounds like not enough, the Super Power plan is an ultimate solution for the most complicated and heaviest web projects. The package will cost you $599 per month to guarantee maximum operation speed at 2.0GHZ with 2 x 6 CPU cores and 2 x 960GB SSD with RAID Level 1 storage support. Powerful Resources for Higher Speed – The system offers unlimited traffic in addition to up to 1GB per second connectivity. It results in higher website speed and better users’ experience. Moreover, page load time might get a boost thanks to HTTP/2 network protocol. Advanced Security Means – The system can automatically place digital security guards in case of DDoS attack risks. All your data is safe, as 1&1 Ionos makes regular automated backups to store the copies of your website files. Hosting Mobile App – a great feature to ensure fast and simple access to the Control Panel directly from the mobile device whether it is a tablet or smartphone. All you need is to download the IONOS Hosting Manager app and manage your dedicated hosting despite the location. 1&1 Ionos dedicated server cost: 1&1 Ionos claims to be a budget dedicated server provider. The plans are cheaper if compared to other services form our list. Customers can choose from four different SSD/NVMe packages that range from $55 to $150 per month. The plans use various operating systems with up to 4.2GHX turbo speed boost, 1TB storage and 64GB of RAM. All plans despite the price include a free domain and SSL, SiteLock protection, and some other features. Users can switch to HDD plans as well. They are a bit cheaper though still unable to provide enough facilities for huge web projects. See also: 1&1 IONOS review. Opting for a dedicated server means opting for flexibility and scalability. Such an option is the best bet for companies and website who value for stability, speed, and maximum performance. Users can fully control over their hosting facilities with a chance to set necessary configurations and administrate server at any time. All you need to do is to define how much power and speed your future project requires. The number of offers will certainly let you choose the best platform that meets your budget and needs.